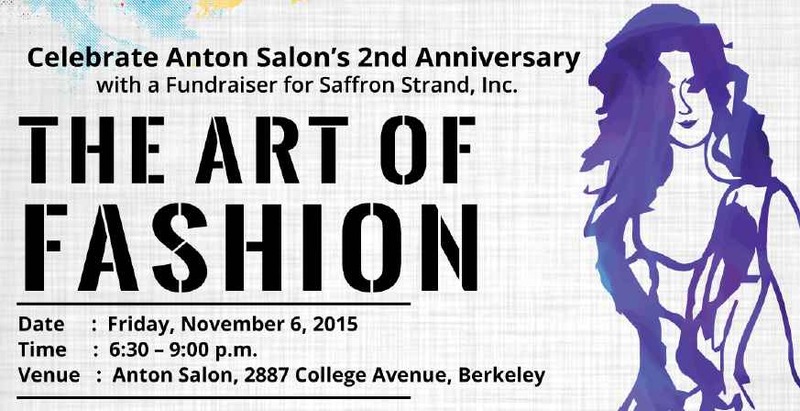 Anton Salon is celebrating its 2nd Anniversary with a fundraiser for Saffron Strand to help the Bay Area’s homeless get off the streets and back to work. Renowned fashion designer, Joe Escobedo, who owns Anton Salon and who is Vice-Chair of Saffron Strand applies his creative talent and fashion expertise to raise funds to help homeless members of Saffron Strand re-enter the workforce for the long term. The Art of Fashion features designer collections from The Glam Box Designs in collaboration with famed local designer, Belle Neptune. Click here for Save the Date flyer.